Stratosphere 5 is an original painting, created with acrylic paint on gallery-wrapped canvas. It has a width of 48 inches and a height of 24 inches with a depth of 1.5 inches (24x48x1.5). 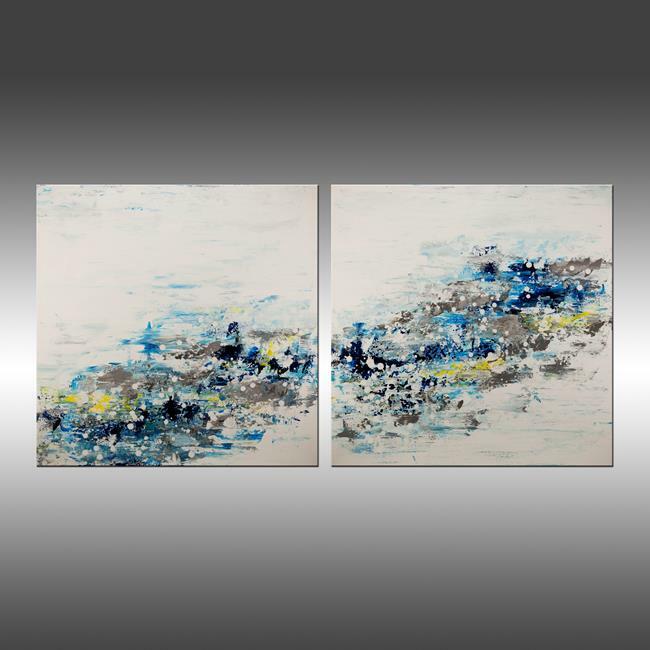 There are two, individual 24Ã—24 inch canvases.